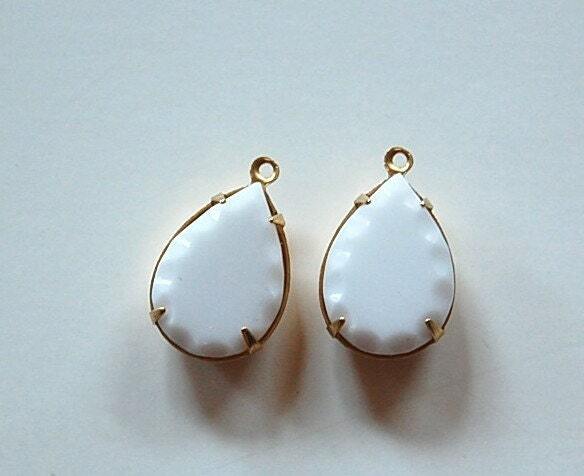 These are vintage opaque white teardrop glass stones set in a 1 loop brass setting. The border of these stones has a scalloped faceted edge. These stones measure 18x13mm. You will receive 2 pieces. These look great in person. Always a favorite of mine. Thanks so much. I like these - they have a unique faceted edge. Darling!